Apps are changing the way restaurants do business. But what if you aren’t sure you’re ready to invest the time and money needed to make your own? 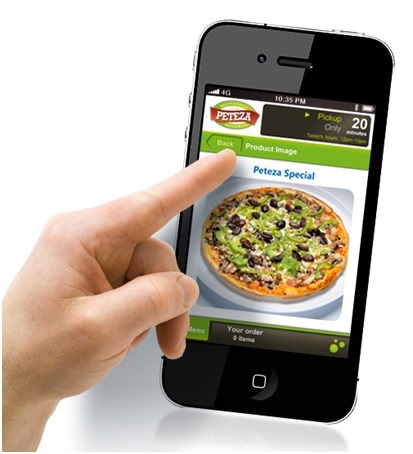 Here are 11 reasons why a restaurant mobile app is essential to your business. When potential customers try to interact with your business online, they often experience what is called ‘friction’. Friction occurs when things get in the way of this interaction. Compare this to a restaurant that has a mobile app – the frustrated user experience is replaced with a completely seamless one. The Friction is eliminated. Whenever a user wants to connect with you all they have to do is open your app. suddenly, what used to take 40 key presses now takes only one! Push notifications are a great way to alert your customers about sales, specials and one-night-only deals. They can also be used to send casual announcements about your menu that aren’t important or long-lasting enough to print up an actual flyer: “Visit us for fresh Barramundi caught just this morning!” For online ordering, coupon codes can be pushed to your customer’s mobiles quickly and efficiently, and at zero cost. When their stomachs are rumbling, they don’t have all day to find your place. The good news is that a restaurant mobile app with built-in GPS navigation can direct all of your potential patron’s right to your door. Whether you’re hosting a themed celebration or a cooking class, a restaurant app can get the word out to all of your most loyal customers. Not only will you save money on advertising, but your announcements are guaranteed to reach people who are already interested in what your business has to offer. That’s why they downloaded the app in the first place! You’ve probably seen loyalty programs offered by retailers and department stores, but were you aware that you can offer the same thing through a mobile app for restaurants? Just send out vouchers and e-coupons to everyone who has downloaded your app. Last but certainly not least, a restaurant mobile app will put you on the cutting edge of digital marketing. Many restaurants are still using old-fashioned advertising techniques, so if you upgrade yours, you’ll have the advantage over all of your rivals. These are just a few reasons you should consider investing in a mobile app for your restaurant. The 21st century is here, and it’s time to join it! Get in touch with www.demandmedia.co.nz today to start building your own app. Alternately call or SMS Neil 0407 199 022 to organize a FREE DEMO App custom build for your restaurant or cafe at NO COST or OBLIGATION – Why not Just take a look at what your Business App will look like!